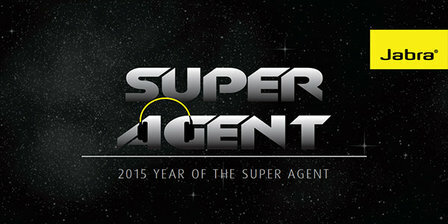 Does your contact centre have a team of Super Agents? Jabra, along with partners www.contact-centres.com and Red Letter Days, believe that contact centre agents are the unsung heroes of an organisation and within the customer service industry and are launching a nationwide competition to find the ʻSuper Agentsʼ across UK and Irelandʼs contact centres. Over the next few weeks you can register your interest and learn more about how to enter you and your contact centre to stand a chance to win #thebestdayatworkever. This will include an exquisite breakfast and lunch brought to and served at your office by a Top Chef for the winning agent and their contact centre team, a day of massages and pampering at your desk and a fun-filled night out on the town for the team, all courtesy of us! Launching on 27th April 2015, there will also be weekly opportunities to win a whole heap of other prizes, products and goodies from Jabra and Red Letter Days along the way. If you believe you have or are part of a team of Super Agents – go to www.jabrasuperagent.com to find out more about how you can enter and your team. Be the first to comment on "Become a Super Agent!"